Website or Social Media Page – Which is More Cost Effective for Your Brand? There shouldn’t be any doubt in anyone’s mind that having a strong online digital presence is one of the most important things for a brand in our technologically oriented society. That being said, building and maintaining a digital presence can require quite a bit of time and money. Entrepreneurs and small business owners may be tempted to choose one over the other – but which is a more cost effective for a bit of time and money. Entrepreneurs and small business owners may be tempted to choose one option over the other – but which is a more cost effective for your brand: website or social media? There shouldn’t be any doubt in anyone’s mind that having a strong online digital presence is one of the most important things for a brand in our technologically oriented society. That being said, building and maintaining a digital presence can require quite a bit of time and money. Entrepreneurs and small business owners may be tempted to choose one over the other – but which is more cost-effective for a bit of time and money. Business owners may be tempted to choose one option over the other – but which is more cost-effective for your brand: website or social media? It can be hard for business owners to fully understand what the costs of investing in a website or social media page truly are. Very few companies that build websites post their rates online. This is for a few reasons. Website building costs can vary greatly depending on the specifics of the project. On top of this, there is also the cost to maintain your site in the long run. While creating a social media page often doesn’t cost a thing up front, there is far more to it than that. Costs start building up when it comes to maintaining and amplifying your social media page to your audience. After all, social media accounts need content created for them and careful management. So let’s break it down, website or social media page – which is more cost effective for your brand? Small Business Website: Basic information with usually under 20 pages and stock photos will cost between $3,000 and $10,000. Medium Business Website: A more in-depth website with about 75 pages, a content management system, fun layouts and imagery, and maybe some unique plug-ins will cost between $10,000 and $25,000. Large Business or E-commerce Website: These websites will likely require many custom designs and integrations to provide the functionality that is necessary. A website that allows customers to purchase products needs a payment processor. Also, large sites often need multimedia created, which can cost a pretty penny. These sites can run upwards of $50,000 depending on their intricacy. Domain Name: Your domain is the title of your website, the URL that gets people to where you want them to go. Domains aren’t usually too pricey unless you want to get a domain that is already purchased or customized. The typical price is about $20-$50 annually, and you can usually prepay a few years in advance. Website Host: Once you have your domain name, you need to find a place to host your site. There are many web hosting companies out there that offer plans that can range from $10-$100 per month. The price will depend on how much traffic your site gets and how many features you have on it. Content Management System: Your CMS is what you use to display articles, videos, and photos on your site. It isn’t necessary, but it will save time because it is easy and efficient to use. Depending on which you choose, it could be minimal in cost (like the ever-popular WordPress) or custom ones can cost thousands of dollars a month. SSL Certificate: The secure socket layer, or SSL, is the certificate that encrypts the sensitive personal information that is exchanged on your website. If you ask for personal identifying information anywhere on your website like a form or in an e-commerce store, you MUST have an SSL certificate. You need to get your SSL certificate from a trusted source, and you will have to dish out anywhere from $10 – $100 per month to maintain it. Search Engine Optimization: SEO is a series of tasks that help your website rank higher within search engines. Check out this article for SEO best practices for digital branding. SEO costs vary per agency or freelancer, but it can cost about $5,000 upfront, and then about $200 – $500 per month on average for maintenance. Pay-Per-Click: PPC advertising is the ad that you’ll find on the sidebars and banners of websites and Google results. Targeted ads help businesses get increased traffic on their website and are a quick way to get more people visiting. The cost for PPC really depends on your budget. You pay for every ad clicked. The cost for that click depends on the cost of the keyword and how many other people are bidding on that same keyword. A small to medium-sized business should budget around $500 – $1000 per month for PPC costs. Content: Unless you’re a writer, it’s beneficial for your business to get a content creator that specializes in SEO to create content for your site. You should also consider creating graphics and blog posts. The cost for content creators and graphic designers can vary extremely, so shop around to get a good price for the value you want. Social media is a great tool for getting the word out there about your business. It is also a free tool, so it seems like the ideal option to replace a website. The most popular social media network for replacing websites is Facebook. It’s true, Facebook Pages are great – since so many people use Facebook for personal social media, it’s easier and more familiar to navigate than using a website builder or blog. 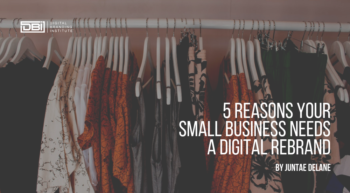 Since creating a Facebook page is free, using one as both a social media tool and business website can seem very appealing to business owners. 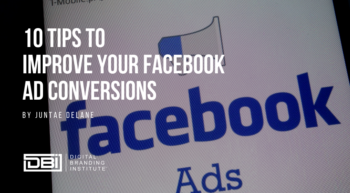 While Facebook allows you to customize your header image, store sections, and the content you share, there is a limit on the branding and personalization you can do on your Facebook page. Your content, offers, promotions, and updates must stay within the guidelines established by Facebook. In addition, your content isn’t necessarily your own – Facebook can use that content for their own purposes. Also, while Facebook does have billions of active monthly users, changes to privacy on the platform could mean that your audience may never see your content. What Comes After Making Your Social Media Page? As for social media pricing – while creating a page on these platforms is free, social media DOES have costs associated with it. If you do all the updates yourself, it will take quite a bit of time and energy to build a strategy to reach the audience you want to reach. You also have the option of hiring an agency or freelancer to maintain your social media networks as well. 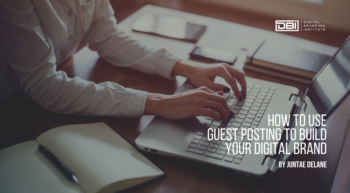 Depending on how many pages you manage and how often you want to post, the costs associated with this could run anywhere from $500 to $3000 per month. Finally, you’ll have to include paid social media ads. This can be a very effective tool for making sure your business is heard online. The costs of this will greatly vary depending on the network and what your goals are. A small to medium business should budget a minimum $500 – $1000 for paid social media, and whatever agency costs on top of that if they want to outsource it. Marketing your business and increasing your visibility is one of the most important parts of owning or running a brand. Take all the facts that you have and define what your business needs, and then make the most informed decision you can regarding how to amplify your brand. Most importantly, continuously revisit your decision to see if it’s time to make additions or subtractions to your marketing at all times. 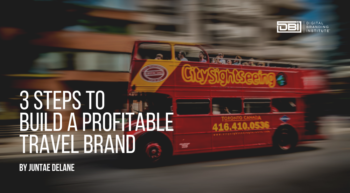 The reality is, you have to do what is the most cost effective for your brand, but your situation could change at any time, so make sure to stay on your toes! Do you have a website for your brand or just a social media page?